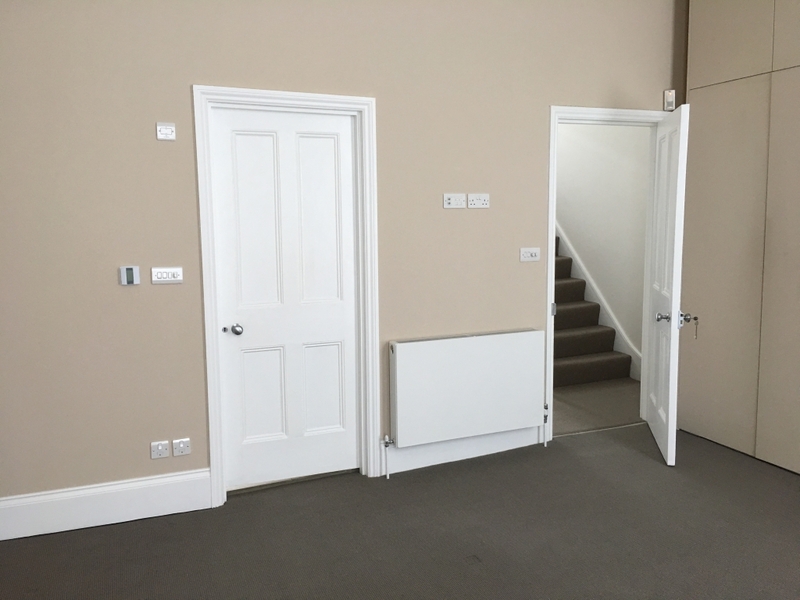 Today we are visiting a property where we will be measuring rooms for furniture. 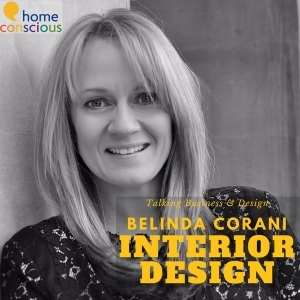 This is something that you will have to do as an interior designer. You cannot leave this to estate agents, your workmen or clients. 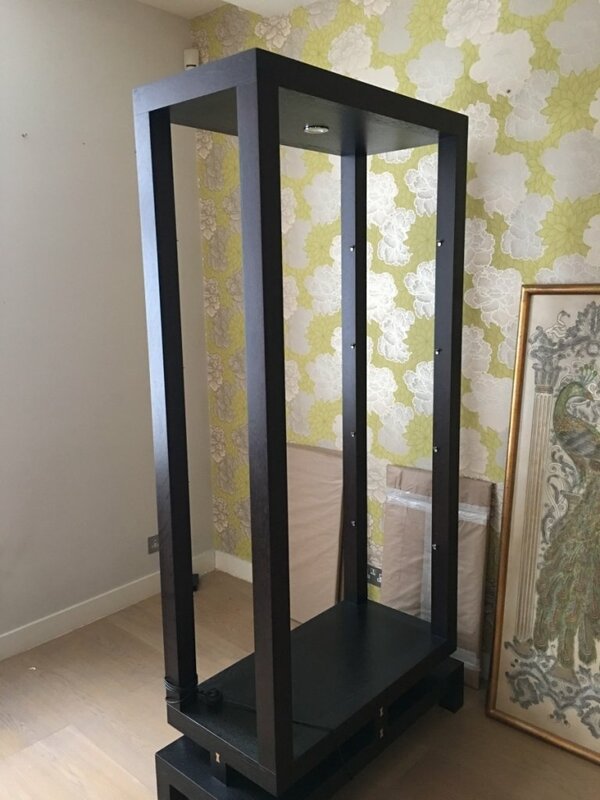 You need to be sure that your measurements are correct and that items of furniture as well as rugs and curtains will fit in to the spaces that you are working on. 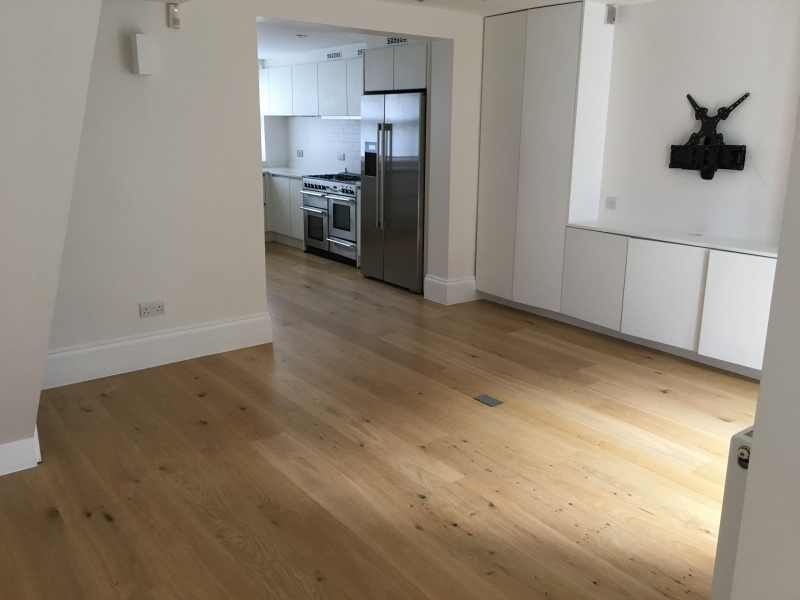 Over the years, I have learnt that measuring rooms is something that you will need to do early on; and that those measurements will be useful throughout a project, and indeed after a project has been completed. Many a time a client has called or texted me to ask what an alcove in their sitting room is measured as. Having these figures available for both you and your client can be a god send and shows the difference between someone who knows what information will be useful, against someone who is not interested in the details of designer work. 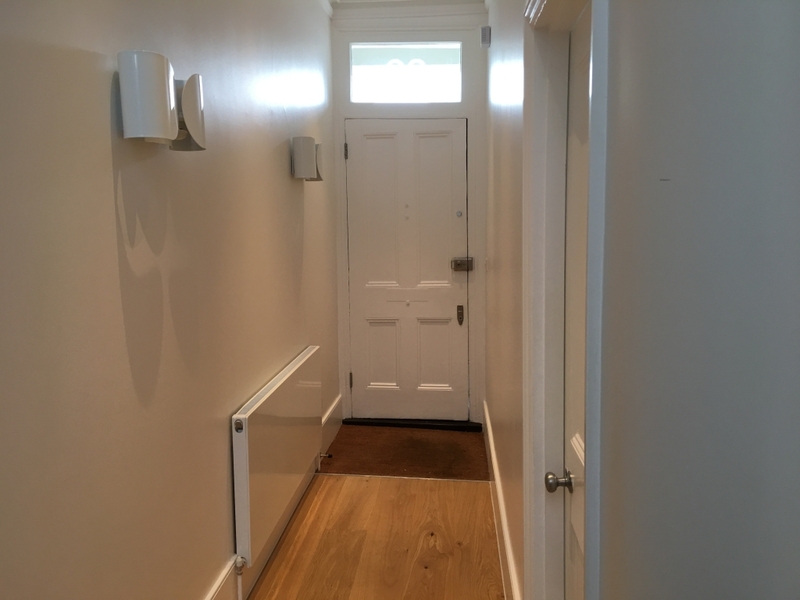 We start off today meeting the client who is a very old and valued client, at their new home in North London. Their old home is being renovated and so this will be their rental home for about a year or so. Consequently, this job will be very much a layout job, to check that all their current furniture will fit into this new house. It’s actually quite a challenge because their current property is split level, and is on two levels. The upper level is all open plan. This means that the current furniture will face difficulties fitting in the smaller rooms of the rental house. Walls and doors will get in the way and I suspect the clients will find it quite cramped after open plan living for five to six years. Laying out a room is a big part of interior design, in fact, it one of the elements of interior design. It takes time to think and decide and you shouldn’t rush these decisions. After the client has taken me around the property, she then leaves me to it, with the keys safely in my hands. My first job is to take another walk around the property and really look at the possibilities for each room. Luckily I know most, if not all, of their furniture, as I bought much of it for them. Many items will not be going back to the current property after it has been renovated. You will notice that clients will want to buy many new things after a refurbishment has taken place. This is perfectly normal but it does mean that the old furniture will need to be disposed of. Whether you do that or the client does that is up to you, but make sure you are compensated accordingly for your time if you are handling the disposal of the furniture. People underestimate the time it takes to sell things. It can be much easier to invite a charity to arrive at the property and take items away in bulk. But many clients will want some return, financially, on the items that they no longer want. It can be a tricky discussion between how much you will get for an item of furniture verses the time it takes you to manage the sale of that said item. I often ask clients to speak to their families and friends to see if anyone wants to pick up the unwanted furniture first. But if there is no one who wishes to relieve your clients of the items, then selling or charity are often the only things left to do. You can of course put items into storage. But this costs money and in my experience it is never a good idea unless the item has huge sentimental value amongst the clients family. Or it is a valuable antique that they know they want to keep for the future. Back in the property after looking again at each room separately, I need to measure all aspects of each room so that I know what furniture will fit in each space, and that installation will not present any problems. There are some particular issues with this particular property. 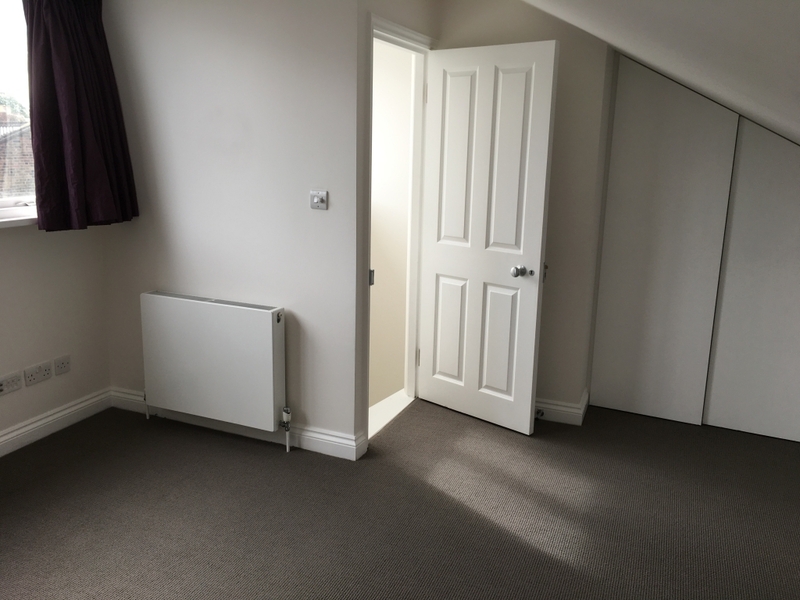 The loft space has been converted into a bedroom and it is accessed by an open and quite steep staircase which has been painted white like the walls. It’s actually quite perilous and I do wonder whether it’s a wise idea using this room for anything but a store room. However the client has expressed a wish for her daughter to have that room and so I will have to get something to put on the steep stair treads, so that the daughter will not fall and hurt herself going up and down to her room. See the video below for more details.. I now need to measure each room carefully and get all those measurements down on paper. So that I can refer to them over the coming weeks. When you are measuring floor space it’s important to have a measuring tape that is long enough. The usual 5 metre tapes can be alright for some smaller properties. But I tend to use an 8 metre tape that allows me to measure the large open spaces that I always seem to find myself in. When you are measuring a floor space in a room you must always measure between the skirting boards. Do not measure from wall to wall, as your measurements will be off by quite a few centimetres. It is appropriate for decorators to use the electronic or laser measurers that are on the market because they are creating estimate based on the surface of walls. They are not meant to be accurate and they will cause problems if you use these whilst designing rooms that furniture needs to fit in. Use an 8 metre measuring tape and measure between skirting boards. Be as accurate as you can and write all measurements down. It is a good idea to draw a brief plan of the room on a piece of paper and then add the measurements to this piece of paper. So you are in no doubt as to what you have measured. You may think that you will remember what certain rooms look like, (positions of lights, types of window sills, which way a door swings, which rooms have radiators and what rooms contain carpets curtains and joinery), but there is nothing more concrete than a photograph. There is a Chinese proverb that says “the faintest ink is more powerful than the strongest memory”. Don’t consign your work to memory. Make sure you have accurate records for both you and your workmen. 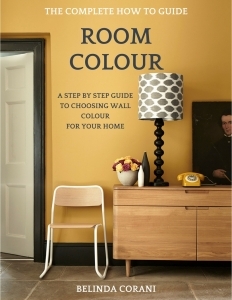 Take several photographs of each room or space. Stand in each corner and take a wide shot of doorways, windows, alcoves and wall spaces. It’s very wise, whilst you are measuring rooms for furniture and taking notes on a sheet of paper, to mark all the electrical sockets and switches on your plan. You should know that if you want to plug in a floor lamp that there will be a socket for it to be plugged into. These may be small points but when they mount up, they all make a difference when you are planning your room, your furniture and your layout. Particularly important are aerial sockets for TV’s and enough socket for charging mobile phones. Most rental properties should have plenty of these, but some will not. Be aware and let the client know as soon as you notice this. Unusually in this property, the owner has put in some floor boxes containing electrical power sockets. These are very useful and are often used for things such as central tables, floor lamps and Christmas trees! Before you do anything further and before you leave a property – look at access. Can you get large items of furniture through old doorways (below)? Look at the front and back of a property to ascertain how you are going to get things in and out of a property. You need to look at stairs and where you can turn on a landing to allow the removal team to do their job. If in doubt, measure! All in all, this is a well-designed rental property and now that I have finished measuring rooms for furniture, I can plan with the client where everything needs to go. I hope you enjoy the video and looking around at this empty property with me.